We don’t know about you, but we’re ready to soak up the sun and ditch these winter blues. This year we’re focusing on living our best lives, which includes taking much needed time for self care. And after this particularly long, cold, and wet winter, a mental pick-me-up is just what the doctor ordered. 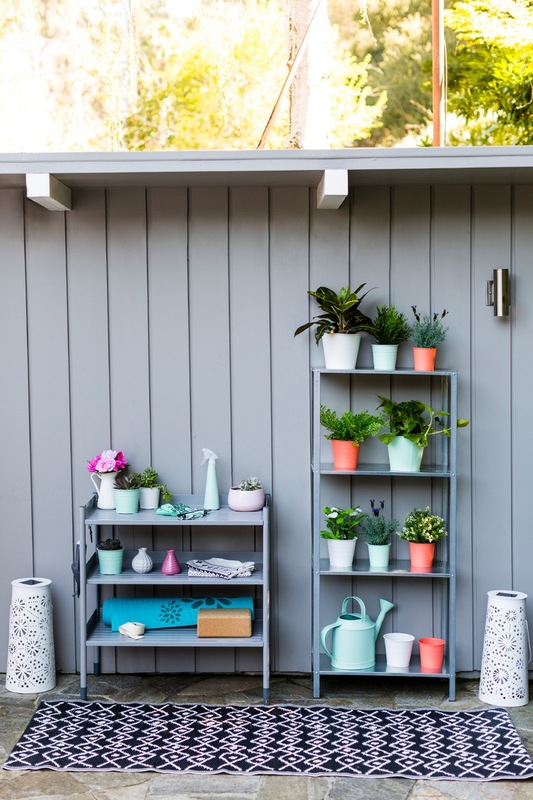 That’s why we’re teaming up with IKEA® to share with you six ways to give your backyard a facelift so you can maximize your time in the sun and get a healthy dose of that good ol’ vitamin D.
The IKEA® Spring Refresh Guide is the perfect source of inspiration to deck out your outdoor space. We’re completely OBSESSED with the new JASSA and SOMMAR 2017 lines. If these don’t give you a reason to get outside and give your mood a boost, we don’t know what will. So, read on and find out how you can elevate your backyard and your overall well-being. Gardening allows you to slow down and get into a flow while you nurture these green little guys. 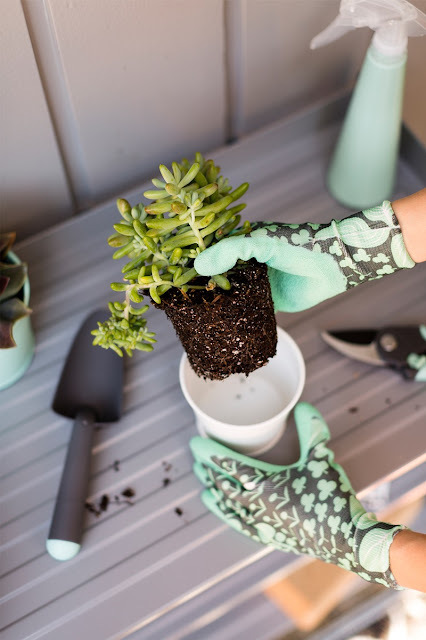 You’ll want to create a space that’s dedicated to getting your hands dirty and make sure you have the proper tools for the job, like the super cute GRÄSMARÖ gardening tool set and KRYDDNEJLIKA gardening gloves. If you’re going to play the part, you might as well look good doing it! More of a brown thumb? 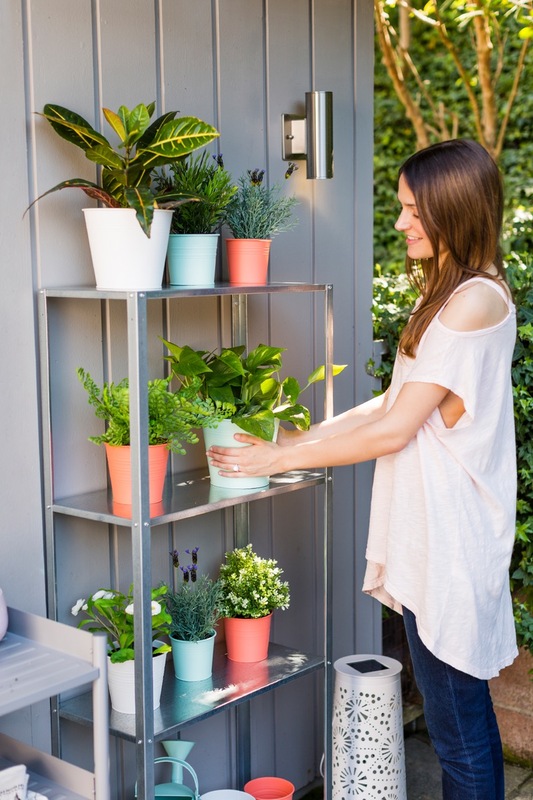 Don’t worry - this HYLLIS shelf unit is a great way for the novice gardener to dig right in. You can easily get the basics of cultivating a garden with potted plants before tackling a full-scale space. It’s also a perfect (and affordable) option for city and small-space dwellers. After all, gardening is a great way to relieve stress and provides you with another reason to spend more time in your yard. Time to get your namaste on! There’s nothing more refreshing than exercising under the sun. Breathing in the fresh air while working up a sweat will take your workout to the next level. You can make exercising even easier by using an outdoor storage unit to keep your gear at hand. The HINDÖ shelf unit is great for storing both your gardening tools and fitness equipment. Plus, we think it looks real cute next to the garden shelf filled with the bright SOCKER plant pots. Research supports that spending time outdoors decreases stress levels and promotes creativity, so why not take full advantage of these benefits by spending your mealtime outside. Taking time to enjoy a meal outside can really do wonders for your mood, especially if most of your days are spent working indoors. 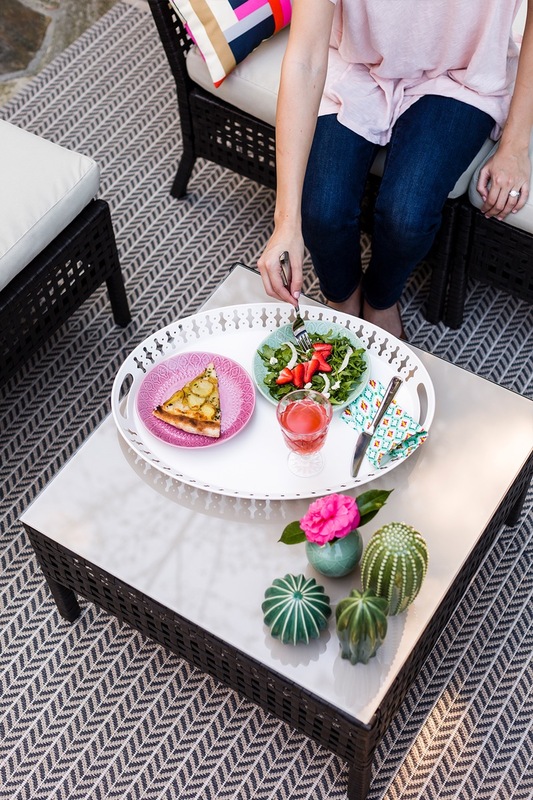 Make dining al fresco more fun by upgrading your tableware, like this ROMANTISK tray and these amazingly colorful SOMMAR 2017 plates. Having a comfy place to read and hang out in your yard is a great way to unplug from your week and spend some screen-free time in the sun. The benefits of reading are endless. And when you couple that with some vitamin D, you’ll be sure to feel refreshed and rejuvenated, especially after a super stressful week. While you may not always feel like you have time for a full day of R&R, be sure to prioritize a little time for self-care. Indulge in the latest best-selling novel or read up on your favorite role model. 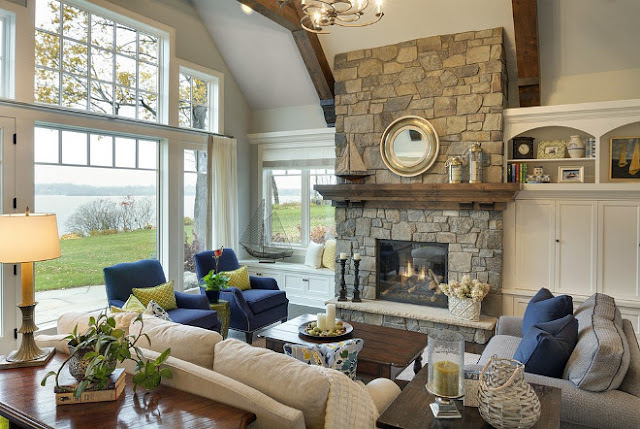 Creating an outdoor hangout space is crucial for the summer months. It makes life so much better when you have an easy and comfortable way to soak up some rays. Investing in solid, yet cozy furniture is the way to go, and we especially love the KUNGSHOLEMN outdoor furniture line. 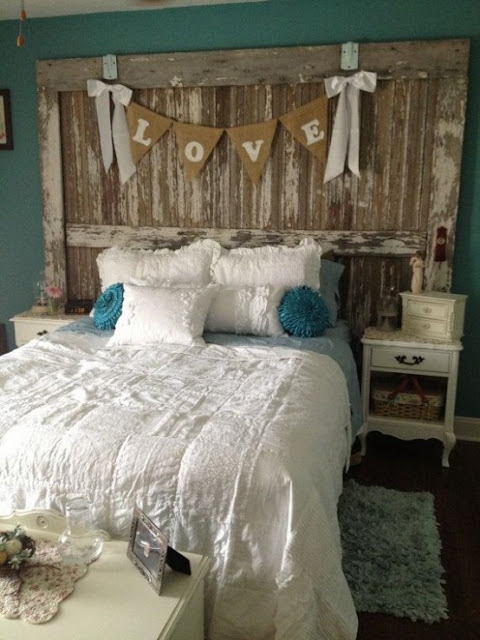 It’s stylish and customizable to any size and space. Just be sure to add some pops of color, like the bright GRENÖ outdoor cushion, to create a cheery environment. Now that you have the proper furniture to hang out on, give it a spin by hosting a happy hour with your nearest and dearest. Why go out when you’ve made your backyard the ideal destination? Time spent with loved ones has been proven to help reduce stress and live a longer life. So with the weather warming up, it’s time to invite your best over for some cocktails or mocktails, and just bask in each other’s company. 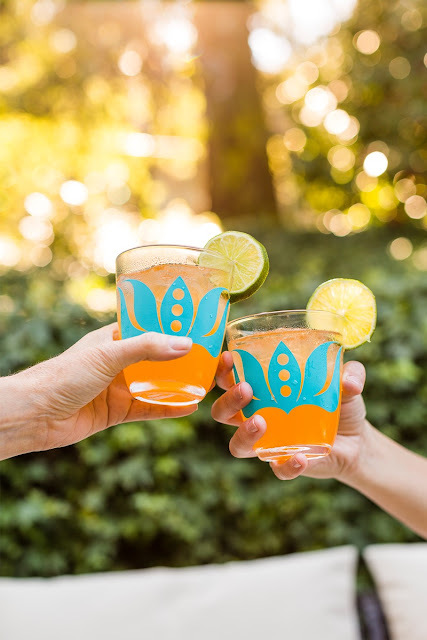 BTW, these totally adorable POPPIG glasses are just the thing to toast to your health, wealth, and happiness. For a break from the hustle and bustle of everyday life, turn your backyard into your very own peaceful sanctuary and take your relaxation to the next level. Meditation soothes the mind and body, so create a special space in your yard just for that. 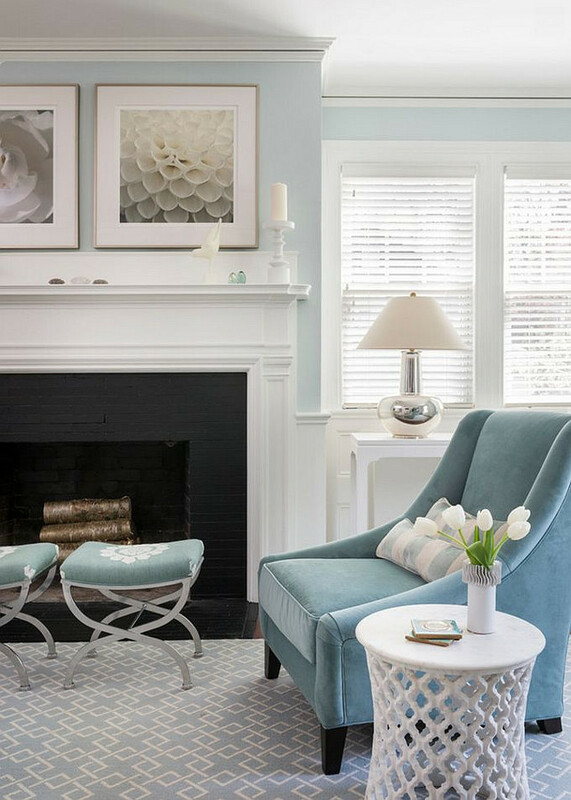 The colorful JASSA floor cushion is just what you need to in order to sit back, relax, and take the ultimate breather. You may not be able to take a big vacation this summer, but that doesn’t mean you can’t transform your backyard into the perfect destination. This post was made in collaboration with IKEA®.